Situated at the bottom of the Jebel Hafeet in Al Ain, the Hafeet Tombs mark an important archaeological site in the UAE. 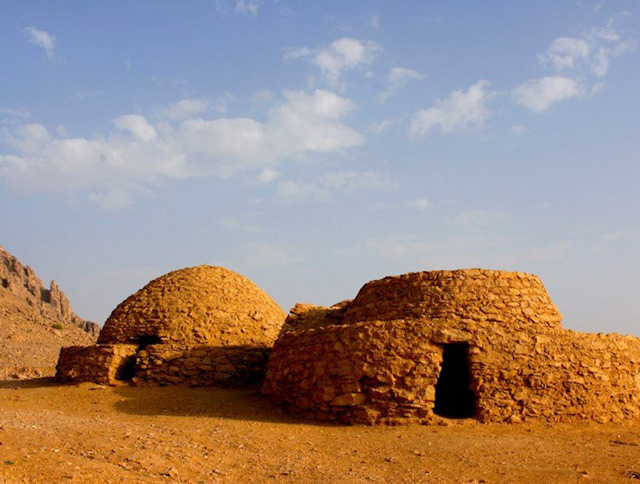 According to Department of Culture and Tourism - Abu Dhabi, the 5000-year-old tombs mark the beginning of the Bronze Age in the UAE. 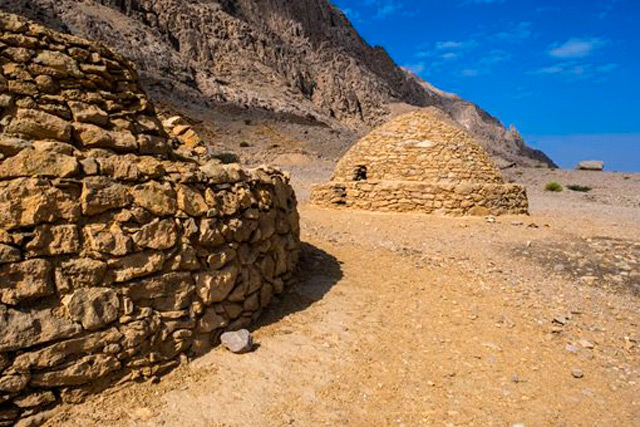 Otherwise known as the ‘Hafeet Period’ (dating from 3,200 BC to 2,700 BC), the fourth millennium funerary landscape cluttered with 500 dome-shaped tombs was registered as an UNESCO World Heritage Site in 2011. This recognition was the first in the UAE. The Hafeet Tombs, as part of Al Ain’s historical oases, represent the cradle of the UAE’s Bedouin culture, providing crucial insight in to migration patterns and the move from nomadic culture to the building of settlements dating back to the second millennium. Excavations of the tombs first took place in 1959, where evidence of ceramic vessels and artefacts were found indicating the important value of maritime trade in the region. The domal-beehive structures are composed of stacked natural and edged stones. Some of the tombs are as much as four metres high, with a space inside of about two metres wide. Abduallah Al Kaabi, an archaeologist at DCT Abu Dhabi, said, "It is through careful exploration and excavation, that a great number of Bronze objects, soapstone vessels, and beads dating back 5,000 years were found." Human and animal skeletal remains were also found, Al Kaabi continued, adding that the these finds give insight into historic settlement populations in the area, and can be viewed at the Al Ain National Museum.